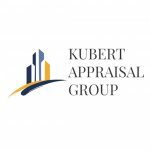 Kubert Appraisal Group (www.kubertappraisal.com) of Lincoln recently opened a new local real estate appraisal firm. Kubert Appraisal Group provides independent property valuation and consulting services, including advising clients on real estate business and investment decisions. Specializing in the appraisal of commercial real estate, property, and land, Kubert Appraisal Group provides appraisal services related to office, industrial, retail, multi-family, urban development, lodging/hospitality, agricultural, and other special-purpose properties. In addition, Kubert Appraisal Group can provide specialized appraisal services such as appraisal review, property tax assessment issues, eminent domain valuations, conservation easement valuation, as well as litigation support, including expert testimony. “I am encouraged by the many clients who have already contacted Kubert Appraisal Group, and I am excited for the opportunity to continue providing quality appraisal services in the Lincoln/Lancaster County market,” said owner and CEO Thomas (Tom) Kubert, MAI, CCIM. Kubert Appraisal Group proudly serves the Lincoln, Lancaster County, and greater Nebraska markets. Kubert Appraisal Group is committed to providing high quality appraisal services. For more information, contact Tom Kubert at (531) 500-0890 or by email at tkubert@kubertappraisal.com. To learn more about Kubert Appraisal Group, visit www.kubertappraisal.com.